Simply insert into your carseat and go! 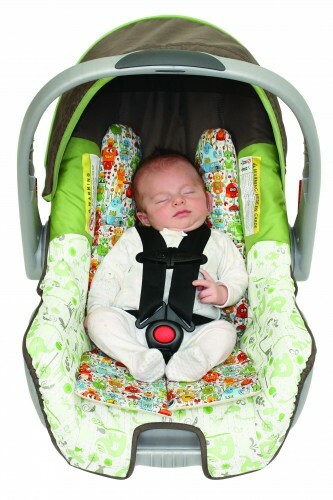 The Natures Sway Breathe Easy insert provides natural support in a baby car seat. The unique design and durability of our other products is already well known. Now we’re promoting natural support for your babies while travelling in the car. Baby car seats are the latest products to come under scrutiny with regards to infant safety. For some time it’s been recommended that babies aren’t left to sleep for extended periods in their car seats as this can lead to breathing difficulties. Ideally babies shouldn’t spend longer than half an hour in the car and car seat use should kept to essential travel as a lack of oxygen can impair brain development and even contribute to SUDS. At the request of various customers and the educators at Mama Maternity, we’ve created the Breathe Easy baby car seat insert to help counter the problems of poor or unsupported posture while travelling. With our insert, baby’s chest area is elevated and the head sits back so that the chin doesn’t slump onto the chest and impair breathing. The side cushions mean that baby can sit comfortably with their head supported in the upright position, which promotes healthier posture and better skull development, as it reduces pressure on the back of the head. The Breathe Easy is a slim addition to any 5 point harness baby car seat – simply insert it into your existing seat and you are ready to go! It’s made from natural wool and cotton fibres that help wick away moisture to keep baby cool in the summer and warm in winter. It has a removable cover that’s fully washable and it comes in a diverse range of unisex prints – making it the ideal gift for any new baby. The Breathe easy insert may not be suitable for very small or premature babies. Always follow the advise of your caregiver and contact us if you have any concerns. This product has been on the market since 2013 with a number of very happy customers and all positive feedback. Crash tests will be considered, and several synthetic versions on the market have passed these dynamic tests, but the reality is that car-seat manufacturers will void their responsibility if any insert is used with their car seat whether or not the insert is tested. Our intention is to give parents a natural alternative to the various synthetic inserts already on the market. Our design is so slim and firm that we are very confident it poses no risk to the functionality of the capsule as long as baby and the seat are strapped in correctly. The Breathe Easy will not suit all car seats – some already have a lot of padding and extra support included. Our insert is more than just a cushion or cover, it is a positional aid and offers help with the concerns of baby slumping over and/or overheating so we do not have any unnecessary cushioning on the top of the head. The straps should be snug with no slack to pinch. If you can pinch ’em, tighten ’em. Straps below shoulders in rear-facing position; straps above shoulders in forward-facing position. 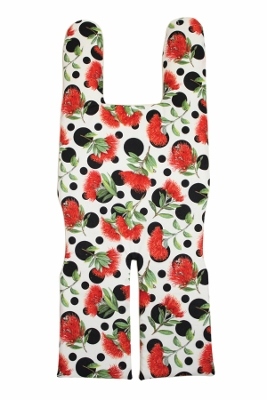 Don’t forget the straps going over your child’s thighs need to be snug also! If you’re not loosening the harness in order to take your child out of the seat, you’re definitely not tightening the harness correctly. Remove bulky coats before buckling. Check your straps aren’t twisted as that could reduce the effectiveness of the harness.